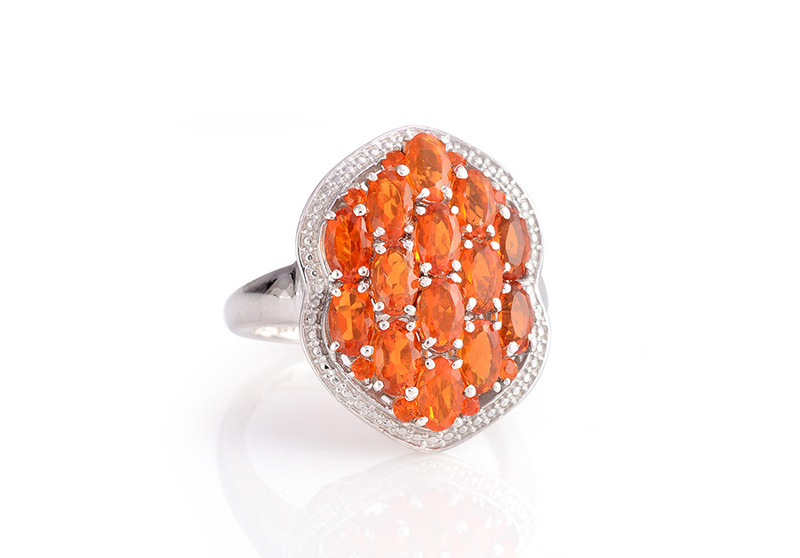 Jalisco fire opal captures the glow of volcanic lava streams within which it formed. 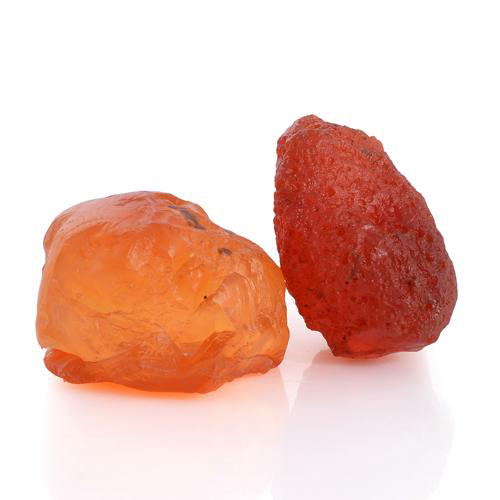 Venerated for its vibrant and passionate orange sparkle this fiery gem is a favorite for collectors. 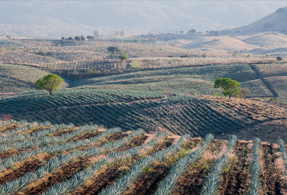 As its name suggested this gem sprang from fire in particular from the ancient volcanoes of the Jalisco region of Mexico. Nuggets of opal can be seen fixed in lava streams. This gem formed when water trickled into molten rock permeating its crevices. With high temperature and tension silica created a compact gel that trapped the water inside the stone. The ancient Maya Aztec and Inca tribes called this treasure the "stone of the bird of paradise." The fire opal is the national gemstone of Mexico. The name opal evolved from the Roman word "opalus" which traces its roots from the Greek's "opallios " meaning to see a change of color. This Greek word is likewise a revision of the ancient Indian Sanskrit's "upala " which means precious stone. • The Aztec civilization referred to fire opal as "quetza-litzle-pyolliti" after Quetzalcoatl the god of death and resurrection. 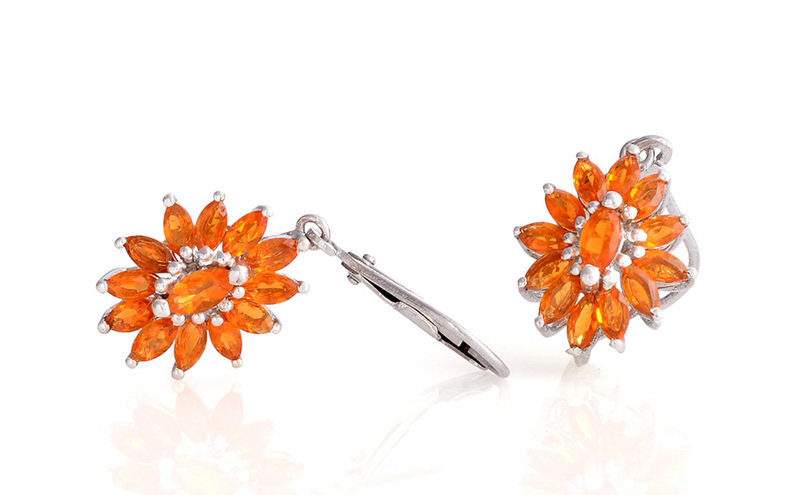 Fire opal has been called the "lost treasure of the Aztecs." • Fire opal is a healing thought to diminish sadness and guide its wearer in the quest for true love. • Opals are often considered a lucky charm that brings beauty success and happiness to its wearer. • The ancient Greeks believed that opals brought powers of foresight and prophecy. • The Romans considering them to be the symbol of hope and purity. • Ancient Arabs believed that they fell from the heavens in flashes of lightning. Based on this tradition opals were believed to protect against lightning strikes and bad elements. • Queen Victoria was a fan of opals. 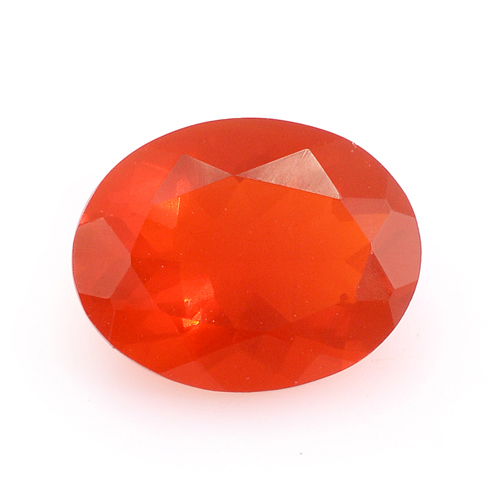 Her five daughters and immediate circle received gifts containing this fine gemstone. It became a much coveted piece since the Royal Court of Britain was considered the model for fashion at the time. • William Shakespeare called the opal the "Queen of Gems" in his comedy Twelfth Night." The finest quality of Jalisco Fire Opals can be found in Mexico from its western state of Jalisco. The state's most valuable mines resurfaced in the 1950s. Shop LC purchases them directly from the source and is proud to pass these savings on to our valued customers. Ranks 6 to 6.5 on the Mohs scale of hardness. Color is preferred in a bright red-orange mixture. May also present in shades of yellow brown and red. Member of the opal family. Traditional gift for 18th and 34th anniversaries.